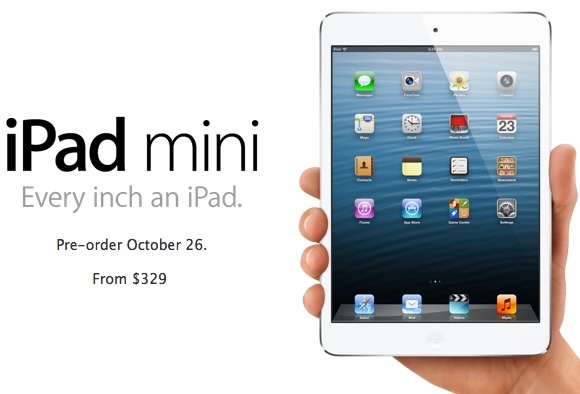 With pricing on Apple's new iPad mini starting at $329, some observers were disappointed that the company was unwilling or unable to launch the device at closer to $249 or even $299. With competing 7-inch Android tablets selling for closer to $199, some have felt that Apple has left too much of a pricing gap when consumers weigh their tablets purchasing decisions. Reuters reports, however, that Apple marketing chief Phil Schiller was quick to defend the iPad mini's pricing yesterday based on what the company has seen with the full-size iPad. "The iPad is far and away the most successful product in its category. The most affordable product we've made so far was $399 and people were choosing that over those devices," Schiller said. "And now you can get a device that's even more affordable at $329 in this great new form, and I think a lot of customers are going to be very excited about that," Schiller said. Several of Apple's tablet competitors, including Amazon and Google, are selling their products roughly at cost, preferring to make money on content, advertising, or other means associated with usage of their tablets. Apple, however, employs the opposite strategy in focusing on the hardware as its primary profit generator, making it difficult to match competitors on price. Still, many had hoped that Apple would be able to come a bit closer to its competitors' pricing.